Few months back when I couldn't restock my favourite shampoo (royal wind), i almost went insane. I have extremely sensitive oily scalp and very dry hair ends so finding a shampoo to ease both problems proved to be a huge headache. And it took me many years to find one that works but only to be discontinued just when i needed to stock up! Especially now that I am pregnant and the scalp is more oily and sensitive than before. I have tried Japanese brands.... that all claimed to be suitable for itchy scalp and dry hair ends but I felt it was still too rich thus causing my scalp to continue itching. As for organic shampoo, the effect alway seem short lived as I can feel my scalp itchy after few hours. Tried tea tree shampoo as well and it didn't do a single thing for me either. So desperate that i even bought a shampoo meant for - hair fall & breakage control, for flat, oily & normal hair. Duh....it doesnt even make sense cos how can a shampoo served so many kinds of hair condition. I am confused just reading it...i pitied my poor sensitive scalp. Anyway, that's how desperate i was. I don't know about you but a itchy scalp can virtually ruin my life. It gives me flakes n bumps all over my scalp and it can be extremely stressful especially in our hot humid weather. I cannot imagine if I have to go through the ordeal during my confinement. 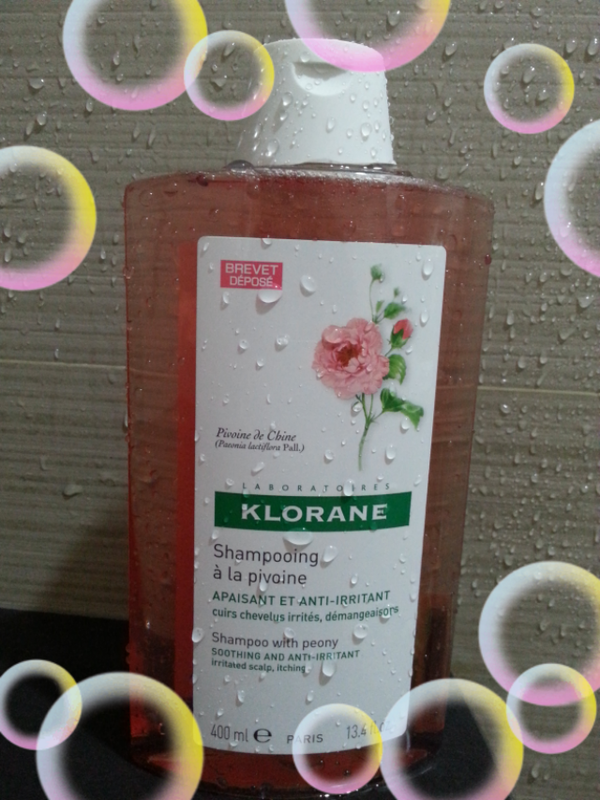 I think I must have tried 5 to 6 bottles of shampoo, NOPE....7 before before finally finding THE ONE and that is Klorane Shampoo with peony. 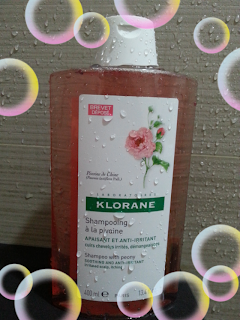 This shampoo provides relief to itchy and irritated scalp because of the key ingredient - peony. I am quite please to know that it is also silicone, paraben and sodium chloride free. I felt immediate relief on the first use and on 2nd use my flakes were reduced and itch were lessen! I am half a bottle through now and my scalp are all happy and healthy! This shampoo doesn't really do much benefit to my dried hair ends but it's not making it worst either so I am sticking to it. I already have 2 new bottles in my inventory.....just praying hard it will be here forever. 5 out of 5. 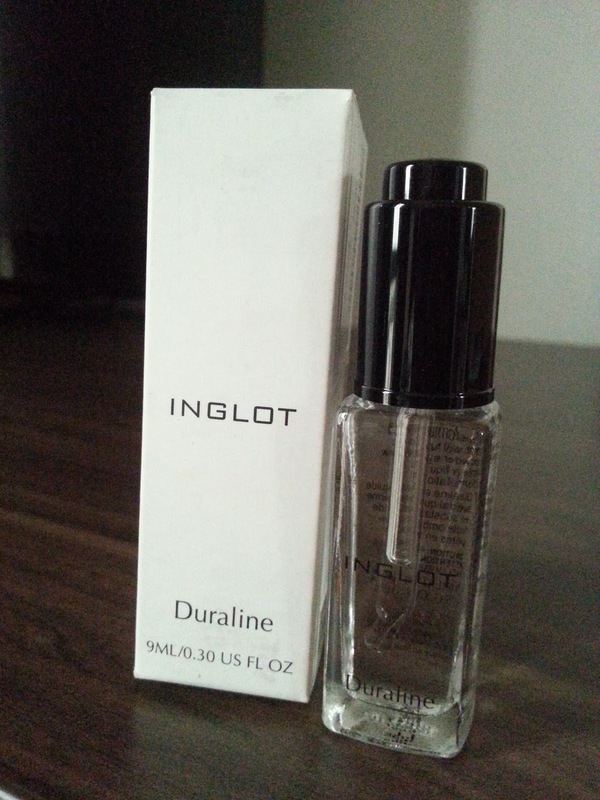 Retailing at S$18.90 from John little, Watsons and Guardian. Bourjois Cream Blush....a dream to use! When i first set my eyes on the cream blusher from Bourjois....i couldnt take my eyes off. Is it the signature round blusher pot or the 4 beautiful colors that i just couldnt make myself walk away from....*gulp* Got to have it! 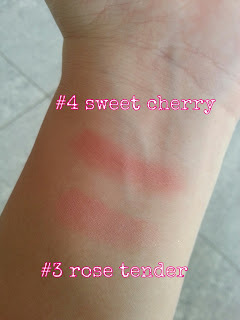 So i bought cream blush #3 rose tender home even though there was not discount on it (99% of the time i buy makeup when there is some sort of discount). See....the appearance of this blusher is enough to make me do irrational thing or was it the pregnancy? I was worry about the blendable ability of this cream blush as some cream blusher can be tricky to blend because of its thick texture. 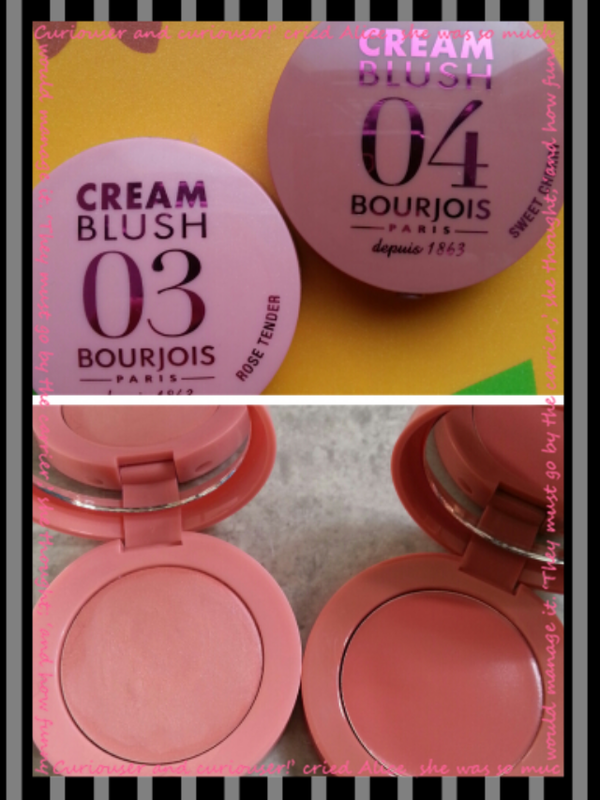 But Bourjois cream blush feels a little oily to touch but it quickly turns into powder upon blending onto the cheeks. It is like second skin, just like what they claimed!! 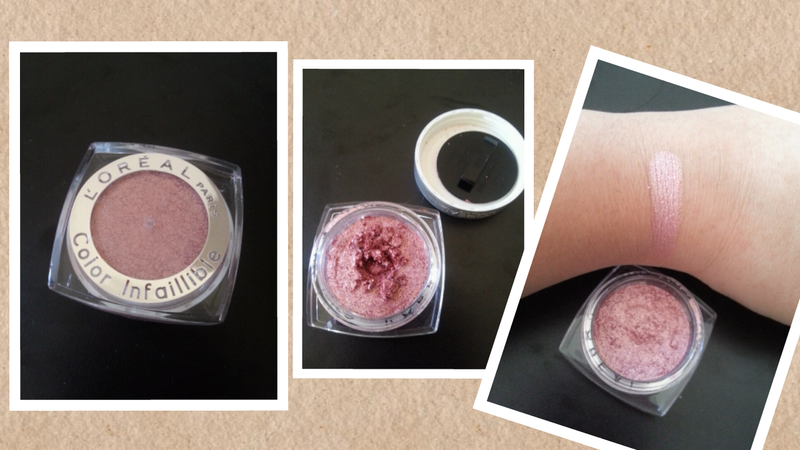 Cream blush #3 has a tiny bit of shimmer in it but is very suitable for day cos its also natural looking. I used 2 layers on my face (see right bottom pic) I would use cream blush #4 if i want a more make up look. 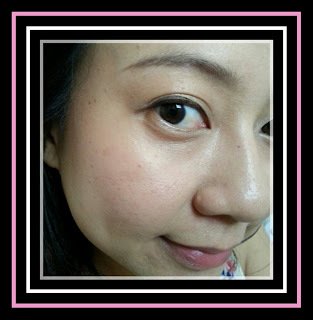 Cream blusher can sometimes give people the 'chinese opera' feel but this Bourjois blusher is really sheer so we can layer it on without looking streaky. I used 2 layers of #3 and still look natural *wink*. The cream blush also has a enchanting rose scent which is common in their blushers and powders but its not overpowering unless u hold it very near to your nose. I think this blusher is very suitable for beginnners like me. I was trying to decide between a cheek tint and a cream blusher and i am glad i bought the latter. Good to know that this cream blusher contains mango butter extracts to leave skin feeling soft and apricot extracts to enhance skin healthy glow. Because of its compact size and cream texture, i could just throw it in my bag and not worry about the mess it might bring like powder blusher. So this is now a staple in my makeup bag along with the lip balms. 5 out of 5. Retailing at S$20.90 at Sa Sa and some selected John Little and Watsons stores. My sincere apologies for the hiatus.....pregnancy just made me a very tired (and lazy) mom to be. Even lazier to try out the new skincare and makeup i had excitedly hidden away from my prying hubby. My pregnancy in the 1st trimester really tired me out big time....i would nap the moment my head hit something soft. Even my son asked why i am always so tired but that is no excuse to slacken on my skincare routine especially when the hormones will be wrecking up a havoc. 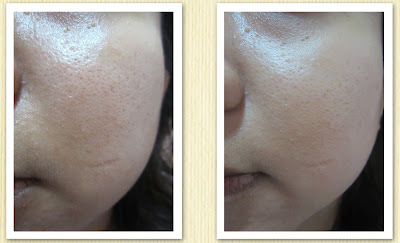 One of my worst fear during pregnancy is SPOTS appearing on my face (next is cellulite - why? cos at least i can get dressed n hide it). To minimise spots from appearing, i have been diligently applying Cosmetic Skin Solutions Vitamin C + E Serum to my face every morning. This is a super antioxidant and it has 15% vitamin C, 1% vitamin E, 0.5% ferulic acid and hyaluronic acid. Its a great product that is timing saving at the same time. My routine is to apply this and follow by my SPF28 and i am out of the house. 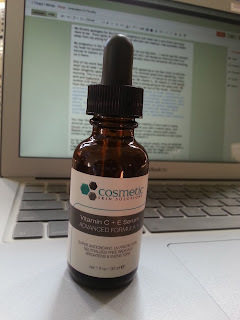 Extracted from the website " This potent treatment contains a high amount of antioxidants to shield the skins surface, creating a protective defense barrier against environmental pollutants, assaults, and aggressors which can lead to oxidative stress and premature skin aging. Repairs and improves the appearance of photo damaged skin, blotchy skin types, and those experiencing uneven skin tones. Treats by lightening age and brown spots, melasma, erythma (redness), hyperpigmentation, as it smoothes and softens fine lines and wrinkles. " You may like to know that Vitamin E can reduce the visibility of your scars or spots, diminish your wrinkles, moisturize your skin and give your skin a radiant glow. 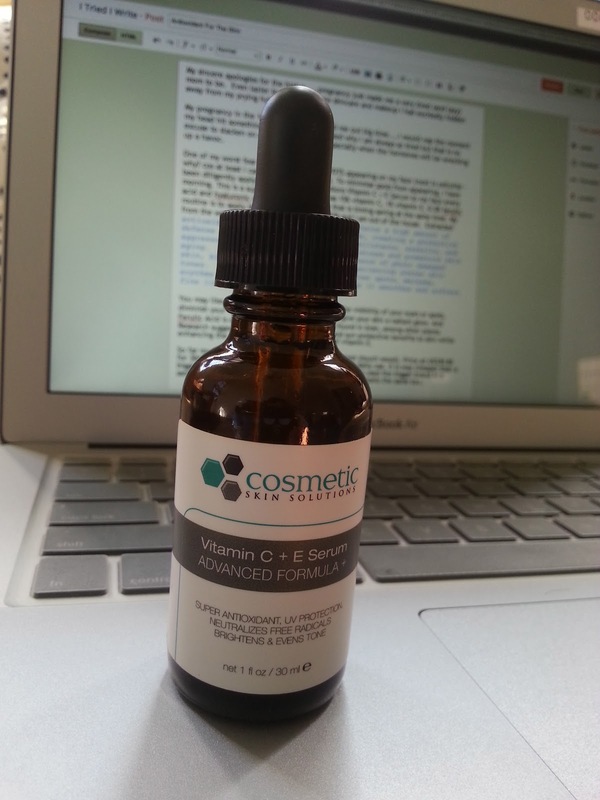 And Ferulic Acid is a plant-based antioxidant that is found in bran, among other plants. Research suggests that it provides antioxidant and sun-protective benefits to skin while enhancing the stability of topical applications of vitamin E.
Some of our sunblocks maybe not be able to block 100% of the UV so with the additional usage of this, damages can be further prevented. Too much sun is never a good thing and same goes for those sitting in the office as the UV will enter through the windows and cause harm too. 4.5 out of 5. So far my skin has been clear and no sight of new spot (touch wood) and spots have been significant lightened also. Price at US$39.85 for 30ml, a bottle can lasts about 4 months based on a daily use. It is way cheaper than a bigger brand retailing at US$153 for the same size. I have used the bigger brand in a sample size and it has the exact main ingredients and it smells the same too. You can buy direct from Cosmetics Skin Solution as they ship to Singapore directly for a fee. For the 20s ladies, this is something that is definitely worth investing in. And for the 30s ladies, its definitely worth a try. My trusty Maybelline gel eyeliner is something that I reached for when I want a natural lined look but few weeks ago when I took it out, it was all dried out!! I was about to toss it out when I remembered I bought a bottle of Ingot Duraline that will revive my gel eyeliner. This Duraline was created to turn any powder eyeshadow into liquid formulation but the sales person told me It can also be used to add dampness to the dried up eye gel. Or you can also add it to your favourite mascara to get the last bit out. I tried it on my eyeshadow platte and the results were so so cos u really to blend it properly to get it evenly spread put. The colors were less dense than its powder form. And once the eye shawdow platte dries, it made them cakey plus i didn't clean the brush properly so there were some color transfer and it's just quite a mess. I would definitely use it for my gel liner because a drop can last a few weeks but not on my powder eyeshadows again because it simply made a mess. 4 out of 5 for its multi purpose ability. I bought if from Kuala Lumpur for RM38 or you can buy it online. Did I mention Ingot has wonderful eyeshadows too!! How much do u know about Mineral makeup and its beneifts?? Honestly, the only thing i knew about it is that it controls oil really well, in terms of the famous Laura Mercier mineral finishing powder which i am using. Mineral makeup has more benefits besides just oil controlling, no wonder the craze still stays strong. 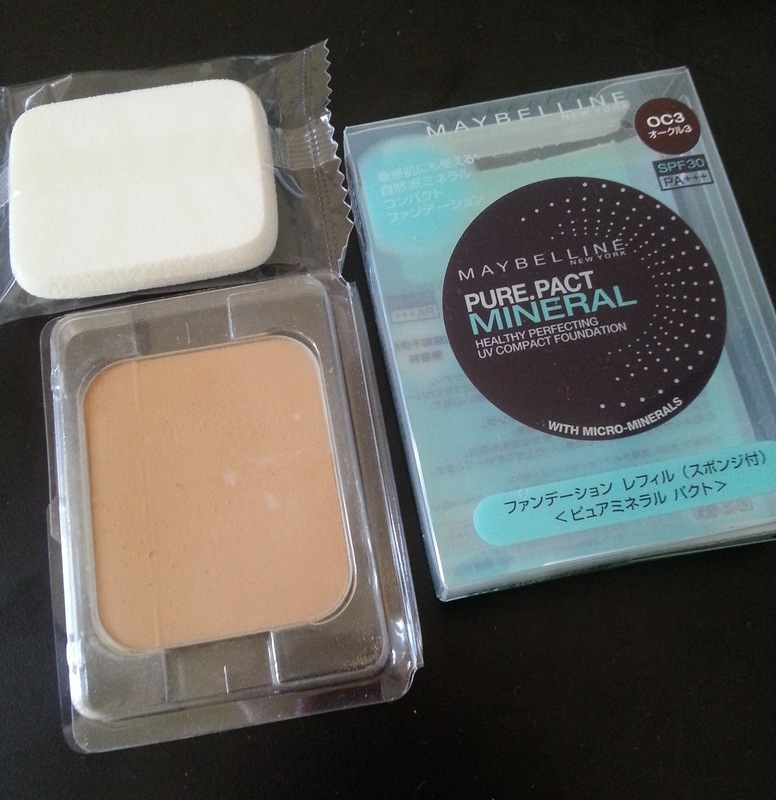 The word 'MESSY' will come across your mind when it comes to mineral powder cos its usually in very fine loose powder but when i saw a 2 way compact cake mineral foundation from Maybelline the other day and thought i give it a try. This mineral compact promises - will not clog pores, hydrates the skin and contains no preservatives, fragrance thus its suitable for sensitive skin. I like this compact because it comes with SPF30 and has a medium coverage. I didnt even apply concealer on my chin and it tamed down my redness. And i could use it all over my face and didnt feel any discomfort. And seriously couldnt even feel that i had makeup on. With the LM powder, my sides of the face tends to itch when i put it on initially. The oil controlling part was abit disappointing because i started to shine after about 6 hours but it might have been better if i used a face primer before using it. Never skip the moisturiser thinking you dont want your face to shine as its oil controlling ability might dry out your skin, especially for people with dry skin. Mineral makeup is good for our skin because the ingredients used are au naturel and is meant for ALL skin types. Mineral makeup can soothe irritated skin and prevent future breakouts too!! You can read up more on mineral makeup on this website Mineral Cosmetics Make Up which i find it to be very useful. 4 out of 5 for this Maybelline mineral 2 way powder. The coverage and SPF is worth every cents and also no more messy powder flying all over the place, highly recommended to bring along for the next holiday. RRP SGD19.90. PS: I didnt buy the compact container cos i dont have the habit of touching up my makeup when i am out. 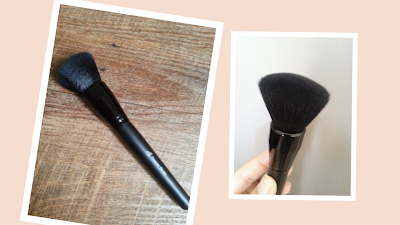 Hands up if you want to achieve a better looking "no make up" look by just using a brush. Toss away your stippling brush....powder puff...blending sponge!! Why your foundation is not giving you the coverage you want? Why are the streaks on your face? Why your flawless makeup is not giving you the effect? We can change all the above. How? Easy peasy....just by changing the way you apply your makeup and all it takes is a USD 3 powder brush to do that. Just use this brush, swirl it on any kind of foundation that you are using - liquid, loose powder, cream or 2 way cake foundation. Then swirl it on your face in soft circular motion, feels kinda of pampering i must say. Repeat all over face until you are happy with the coverage. You can layer your foundation for more coverage and yet not look cakey. 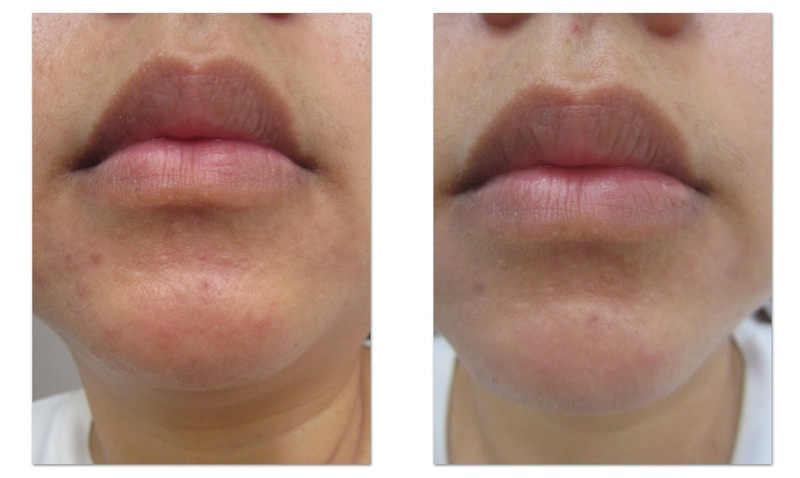 The result is a flawless face, very natural looking and your pores will seriously appear smaller. 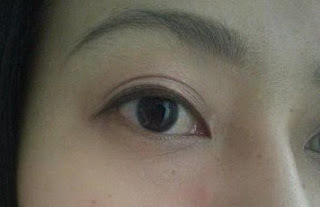 I avoided using this method around my eye area cos they emphasised my lines *sob*. I thought i might waste more foundation with this method but it proved me wrong. This e.l.f brush is quite dense so the foundation stayed on the tips and once swirled, the foundation gets transferred to your skin. No mess no waste!! I love to use it but when it comes to blending the cream foundation, extra time is needed because of its thicker texture. But hey!! Its worth everything. Or if you feel like rewarding yourself for the hard work you have rendered in 2012, you might want to check out the Shisedo foundation brush that has very good reviews and its RRP at SGD40. I sooooo drooling over it!! *Biting nails* resisting tempation to splurge. Mr Papi Mui!! You reading this??? But please remember to really dilligently cleanse your face at the end of the day to ensure that all make up are being removed from pores to prevent clogging. I always double cleanse just to be safe. 5 out of 5. I saw qoo10.sg selling the e.l.f powder brush at SGD8.90 (excluding shipping) or USD 3 from e.l.f website. I didnt want to commit this act....the act of buying another item that will sit in my drawer forever...but the more i read about its reviews, i knew i had to have it *pull hair*. It is actually a very very fine powder, contained in a pot and it feels a little damp and when you applied it on hand, it feels like cream. Hmm....u have to go and try it yourself on the texture, its a funny feel. Mine is the shade of 004 Forever Pink. This eyeshaow looks very shimmery but once applied on the eyelids, it gave a light sheen and the color is very pigmented so a little is enough. It is also best applied with ring finger as i have tried brush and sponge applicator but both tools turned the eyeshadow into specks. It is supposed to stay crease proof, water proof and last 24 hours but I did once applied it without my eye primer and it creased when i came home after 6 hours but i have oily lids to begin with. But it lasted a looong 12 hours when i applied eye primer to it. Even my trusty Clio eyeliner didnt even survived that long hours. And i found myself reaching for it alot for its easy blending. 5 out of 5 for this eyeshadow. RRP at SGD14.90 at Watsons. PS: Do not throw away the black lid as it will be useful to keep the eyeshadow compact. I am sure you dont want a nasty surprise when you bring it on your next travel.